It’s the holiday season, which means you are probably searching for the perfect gift for the Pennsylvania travel lover in your life. 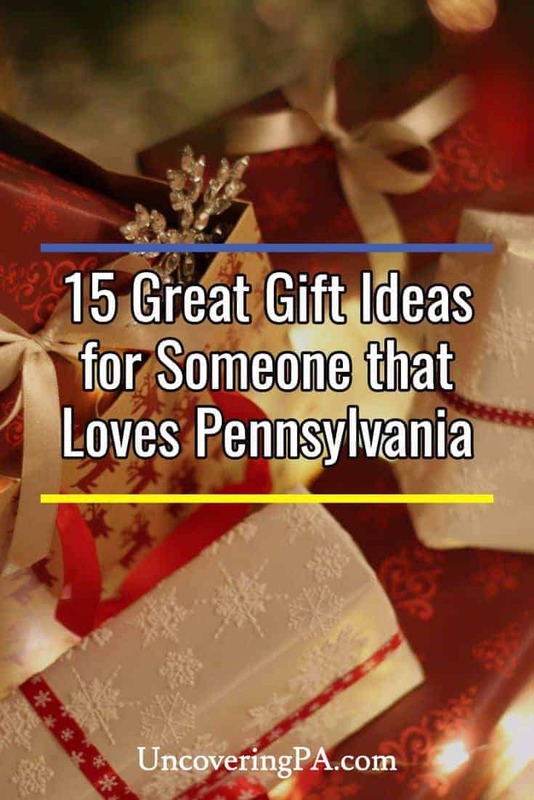 Well, good news, because I’ve got you covered with 15 great gifts from Pennsylvania that are sure to delight those of all ages. 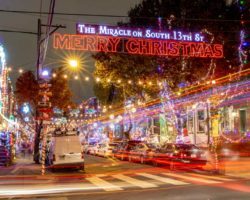 From fantastic photography to jewelry and books, there’s a gift for anyone that loves Pennsylvania on the list below. Note: Some of the links in this guide are affiliate links. If you click through them and make a purchase, a small portion of your total will be paid to UncoveringPA at no cost to you. This is one way we are able to provide our great content for free! Pennsylvania photography makes a great gift for anyone that loves Pennsylvania. 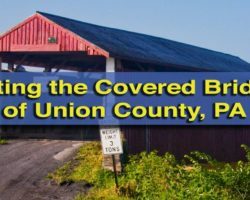 If you love the photography here on UncoveringPA, why not purchase some to give as a great gift. I’ve partnered with Fine Art America to offer some of my favorite photos as prints that you can enjoy in your home or give as a great gift. Photos can be purchased for framing, as a canvas, on metal, or even in fun gifts like tote bags and greeting cards. See what’s available by clicking here. If you’d like to purchase an image of mine that’s not shown, feel free to contact me for availability. Following Purple Lizard Maps will lead you to beautiful places like this one. If you want to get out an explore off-the-beaten-path in Pennsylvania, Purple Lizard Maps are a great choice. Featuring hiking information for areas not often well mapped by others, Purple Lizard Maps make it easy to explore some of Pennsylvania’s little-hiked state forests and natural areas. I used Purple Lizard Maps recently to hike in the Quehanna Wild Area and found the map to be a great resource. You can buy their maps on their website. 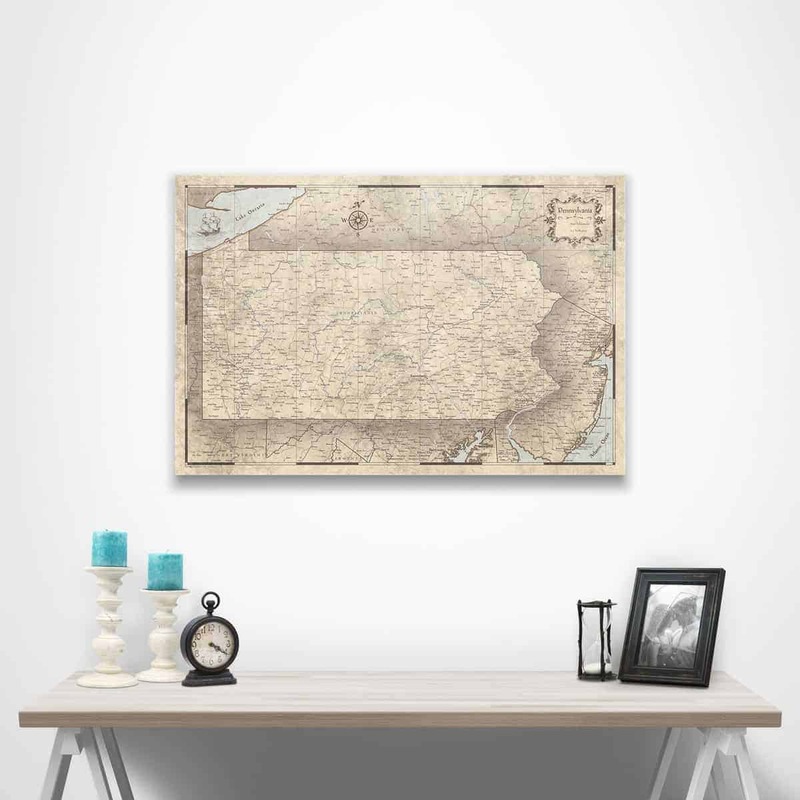 The Pennsylvania map from Conquest Maps makes a perfect gift for someone that loves traveling in PA. If you or someone you know wants to show everyone how much they’ve traveled around Pennsylvania, the Pennsylvania map from Conquest Maps is the perfect gift. 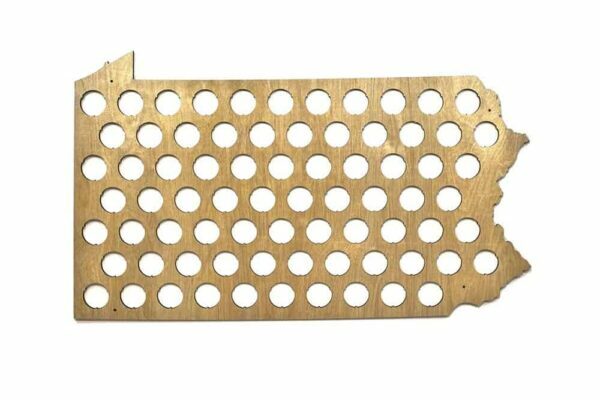 This push-pin map features a large map of PA and comes with plenty of pushpins to mark each place in the state you’ve been to. This is a perfect way to remember your past trips or to plan new ones. Custom Pennsylvania jewelry from Struck and Impressed makes a great gift. Looking for jewelry for the Pennsylvania lover in your life? Look no further than the great, hand-stamped jewelry from Struck and Impressed. 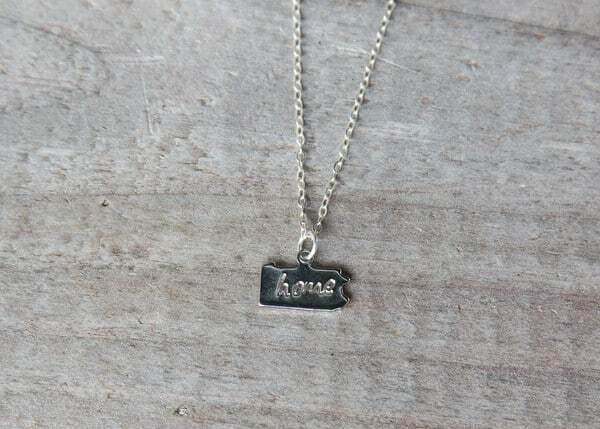 Made by Mrs. UncoveringPA, these customizable pieces of jewelry allow the wearer to show their love of a particular region of Pennsylvania or of the whole state. See the full line up of Struck and Impressed’s jewelry on Etsy.com. Share your love of Pennsylvania with kids. 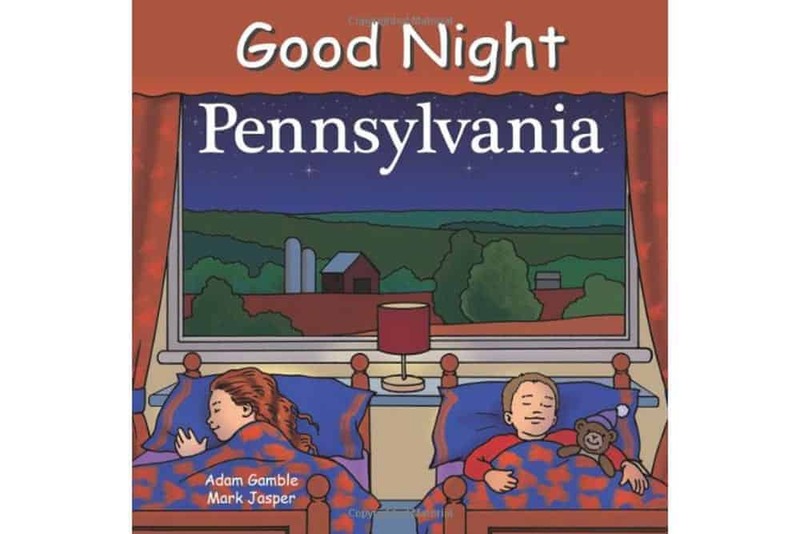 Pass on your love of Pennsylvania to the child on your holiday shopping list with Good Night, Pennsylvania. This children’s book walks children through some of the most iconic places in the state. Get your copy on Amazon. Also available: Good Night, Philadelphia; Good Night, Pittsburgh; and Good Night, Penn State. 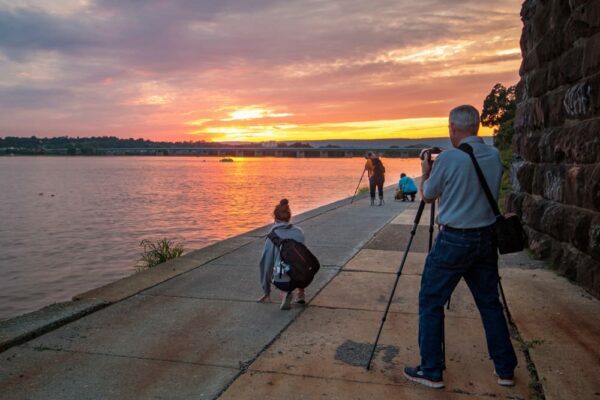 Photography Workshops with UncoveringPA are great for a budding photographer. Do you know someone getting a new camera this year or looking to up their photography skills? Have them join me for a Photography Workshop in Pennsylvania. I’ve currently got Sunset and Nighttime Photography Workshops scheduled at several different locations in Pennsylvania with even more coming up soon. Click here to see the available workshops and sign up now. 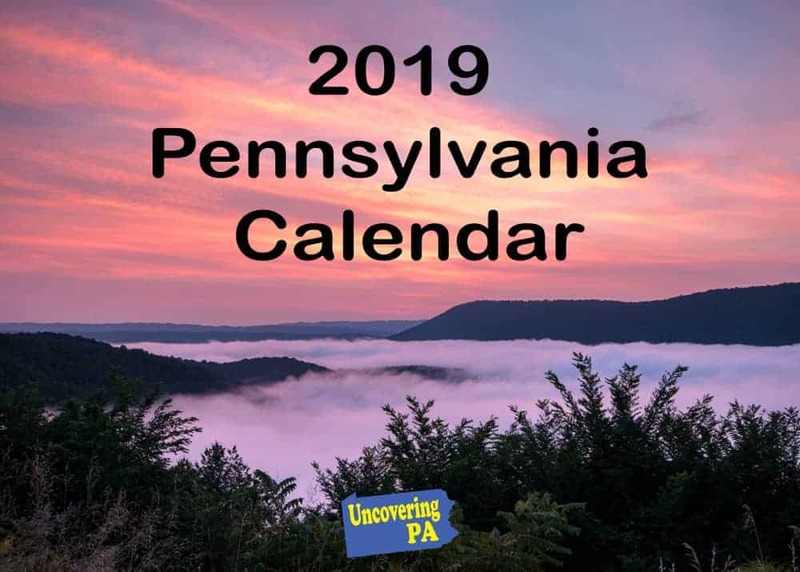 The 2019 Pennsylvania Calendar from UncoveringPA features great photos from around the state. Enjoy the beauty of Pennsylvania all throughout the coming year with the 2019 Pennsylvania Calendar from UncoveringPA. This calendar features some of my favorite images from the past year and is sure to bring enjoyed by anyone that loves Pennsylvania and some of its most beautiful places. Looking for a great gift for a baby that loves Pennsylvania (or who you hope will)? There is a great selection of Pennsylvania onesies that can be purchased on both Amazon and Etsy. Whether you want to rep a city, a sports team, or the entire state, there’s a great PA onesie for even the youngest PA traveler. The Pennsylvania State Parks and Forests Passport is a great gift for anyone that loves PA’s public lands. Love visiting Pennsylvania’s great state parks? 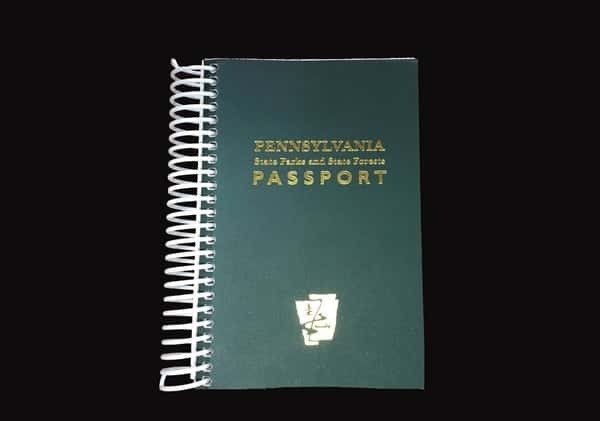 Check out the Pennsylvania State Parks Passport. 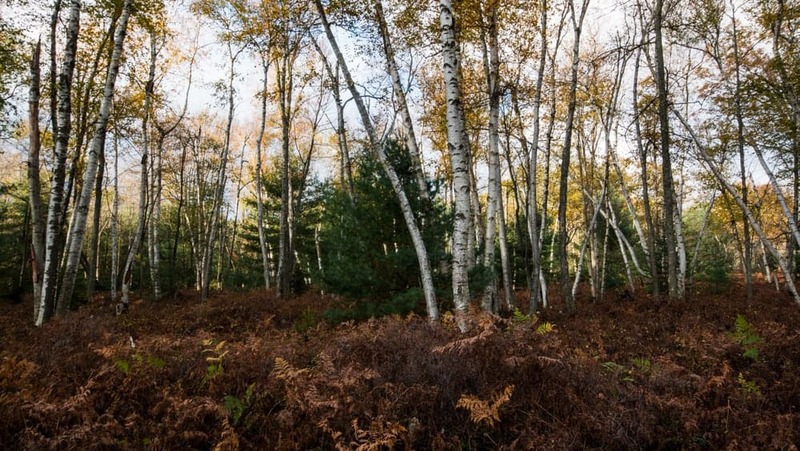 This passport gives you the chance to track each of your visits to these beautiful destinations and help support the Pennsylvania Parks and Forests Foundation at the same time. I enjoy tracking the parks that I visit, and I’m sure you or someone on your list will as well. This is a perfect gift of anyone that loves Pennsylvania beer. Know someone that loves Pennsylvania beer? 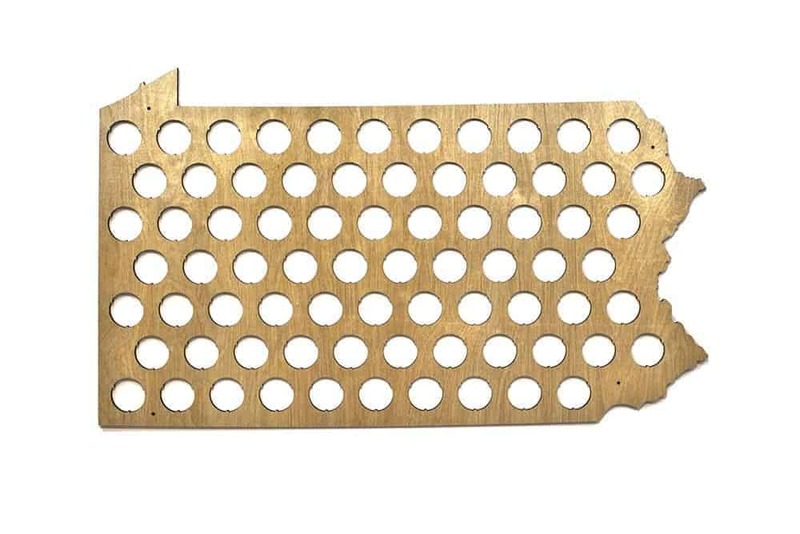 Get them this great Pennsylvania Beer Cap Map. Designed in the shape of Pennsylvania, this great gift has room for 75 beer caps. It’s perfect for showing off all of your favorite PA breweries. Order this great gift here. What better gift is there for someone that loves Pennsylvania but doesn’t return to the state often than a basket filled with their favorite goodies? These gift baskets from PA General Store look downright delicious and feature a variety of PA’s most delicious foods. Without a doubt, there’s a basket for nearly everyone on your list. Show off your home with a Pennsylvania Home shirt. Have someone on your Christmas list that considers PA home? Give them this great Pennsylvania Home t-shirt that’s available on Etsy. The shirt is offered in four different colors and will tell everyone where you are from. Order this shirt from Etsy here. “60 Hikes Within 60 Miles of Harrisburg” has been very helpful in planning my hikes in the area. If you need a gift for someone that loves hiking, the 60 Hikes within 60 Miles series is fantastic. 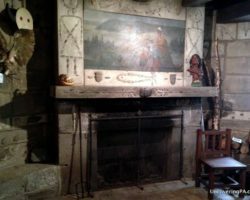 The books are offered for a variety of Pennsylvania destinations and feature hikes of all lengths and difficulty levels that are within a short distance of different cities in the state. 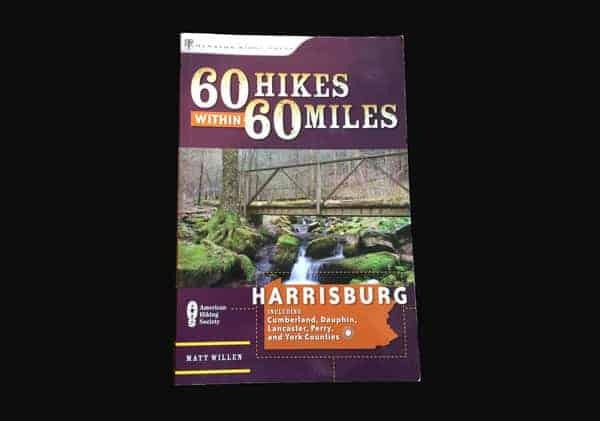 Currently available books include 60 Hikes within 60 Miles of … Philadelphia, Pittsburgh, and Harrisburg. These street maps of Philly and Pittsburgh are perfect for people that love these great cities. 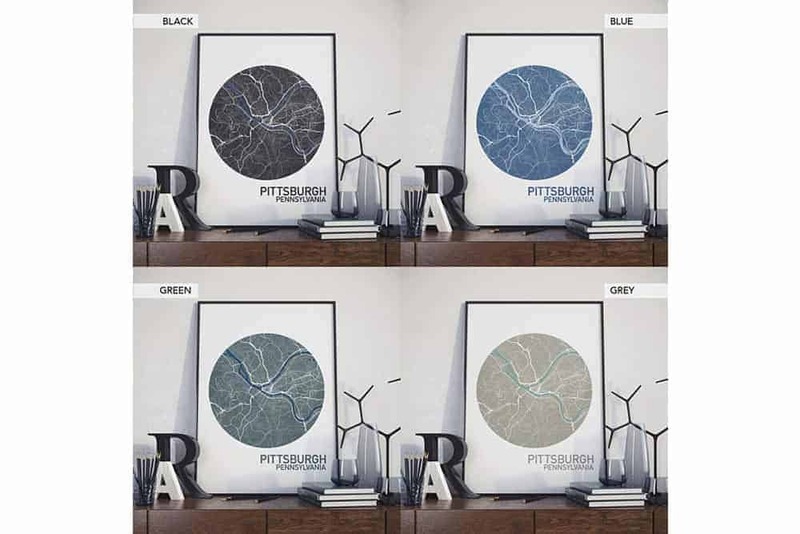 Available on Etsy, these city map prints of Pittsburgh and Philly provide a unique wall decoration that highlights the beauty and confusion of the roadways in Pennsylvania’s two largest cities. 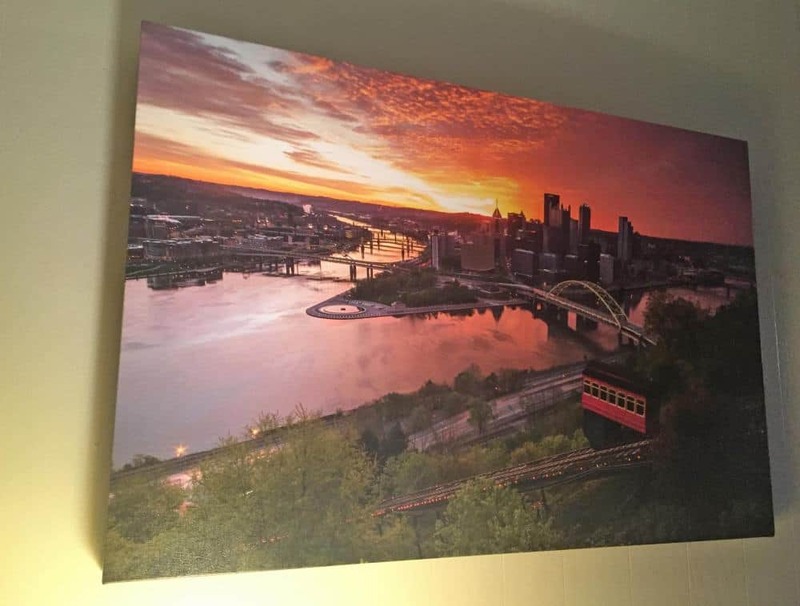 These make the perfect choice for a great Pittsburgh or Philadelphia gift for lovers of these corners of PA.
Order these great prints here. There are dozens of great hiking guides that can help you explore Pennsylvania. In fact, there are several books that I personally use to help discover some of the state’s best kept secrets. A few of my personal favorites that I personally recommend are “Hiking the Endless Mountains” by Jeff Mitchell, “Hiking Waterfalls in Pennsylvania” by Johnny Malloy, and “The Pine Creek Rail Trail Guidebook” by Linda Stager. Of course, there are dozens of great Pennsylvania guide books that can help you uncover the hidden secrets of PA.